A reader, Susan Gilbert, wants to know what became of of the child actors on The Farmer's Daughter, a 1960s television series staring Inger Stevens and William Windom. It ran on the ABC network from 1963 until 1966. Inger Stevens played Katy Holstrum, a Swedish-American farmer's daughter who becomes a governess/housekeeper for U.S. Congressman Glen Morley (Windom) and his two young sons, played by Mickey Sholdar and Rory O'Brien. Mickey Sholdar, who played the elder son, Steve Morley, was born in Indianapolis, Indiana on March 20, 1949. 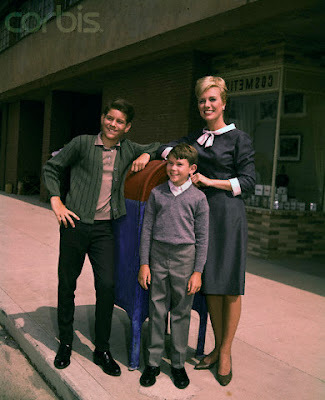 Prior to his regular role on The Farmer's Daughter, Mickey had minor roles and guestspots on such television series as The Ann Sothern Show (1960), Dennis the Menace (1962) and Route 66 (1962). 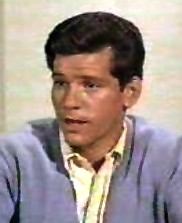 He also appeared in a 1963 episode of The Alfred Hitchcock Hour entitled "To Catch a Butterfly" (Season 1, Episode 19, Air Date: February 1, 1963) with Edward Asner and Diana Hyland. Mickey Sholdar was interviewed for book called Growing Up on the Set: Interviews with 39 Former Child Actors of Classic Film and Television. The book, published in 2002, was written by Tom Goldrup and Jim Goldrup. Mickey told the Goldrups that working on The Farmer's Daughter was a "wonderful" experience. 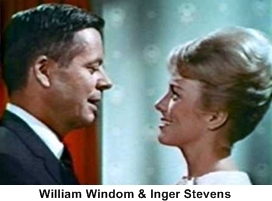 He stated that "Inger Stevens and Bill Windom were both really great people and fun to work with." Sholdar was 13 years of age when the pilot for The Farmer's Daughter was filmed. When the show ended in 1966, he was about to turn 17. "So I did a lot of growing up with them," he declared in the interview, "and everybody treated me very well." He remembered making personal appearances and signing autographs and that "they tried to promote me as a singer." In one of the episodes during the final season of the series, Mickey's character, Steve Morley, forms a band called Moe Hill and the Mountains. 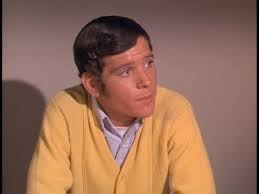 The episode, featuring Davy Jones in his pre-Monkee days, is entitled "Moe Hill and the Mountains" (Season 3, Episode 16, Air Date: (January 7, 1966). Jones and the band sing "Gonna Buy Me A Dog." which later became a Monkees' song. Another interesting bit of trivia is that Keith Thibodeaux, who played Little Ricky on I Love Lucy, appears in the episode as a drummer. Thibodeaux was then billed as Richard Keith. Below is video of the "Moe Hill and the Mountains" episode. After The Farmer's Daughter, Mickey did not have very many acting roles. However, he was a guest star in six episodes of Dragnet from 1967 until 1970. The episodes are "The Big Kids" (1967), "The Grenade" (1967), "The Joy Riders" (1969), "Burglary: DR-31" (1969), "Juvenile: DR-35" (1969) and "Narco: Missing Hypo" (1970). Below is a photo of Mickey as he appeared in "The Grenade" in which he played an unbalanced teen named Gerald Paulson. In the episode, Paulson crashes a party, takes a hostage and threatens to detonate a hand grenade. Below are two photos of Mickey in "Juvenile: DR-35." In the second photo he appears with the two stars of Dragnet, Jack Webb (Sergeant Joe Friday) and Harry Morgan (Officer Bill Gannon). During the 1960s, Mickey was familiar face on American television Westerns, appearing on Wagon Train twice (in 1961 and in 1963), Gunsmoke (1964) and Bonanza (1963). In 1968, Mickey played the role of Alan in an episode of Family Affair called "His and Hers." He also portrayed a golf pro in the 1975 television movie Babe, starring Susan Clark in the title role. Babe chronicles the life of Mildred "Babe" Didrickson Zaharias, American track and field gold medalist and champion golfer. According to the Internet Movie Database (IMDb), Mickey Sholdar married Janet Lee Hartel on October 13, 1973. Mickey was 24 years old when they wed and the marriage lasted until 1979. The couple had one child. In addition, Rory appeared in two episodes of Dr. Kildare, the medical drama starring Richard Chamberlain and Raymond Massey. The episodes are "The Road to the Heart" (Season 1, Episode 32, Air Date: May 17, 1962) and "Sister Mike" (Season 2, Episode 23, Air Date: March 14, 1963). After The Farmer's Daughter, Rory appeared in the highly acclaimed 1970 film, Little Big Man, starring Dustin Hoffman, Faye Dunaway and Chief Dan George. He played an assassin in the film and it was a minor role. During the early 1970s, Rory O'Brien dropped out of acting. His last screen credit on the Internet Movie Database is a guest-starring role on Barnaby Jones, a cameo appearance in an episode of the series entitled "The Murdering Class" (Season 1, Episode 4, Air Date: March 4, 1973). Below is a publicity handout for The Farmer's Daughter. Inger Stevens appears with Mickey Sholdar (far left) and Rory O'Brien. * Mickey Sholdar, Rory O'Brien and William Windom all appeared in One Man's Way, the 1964 film biography of Norman Vincent Peale, Micky Sholdar portrayed Peale as a child. Windom played Norman's minister father, Rev. Clifford Peale and Rory O/Brien played Norman's brother, Leonard, as a child. * Inger Stevens was just 35 years old when she died on April 30, 1970. He death was attributed to acute barbiturate poisoning. 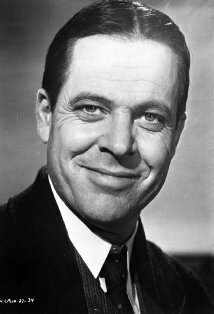 William Windom died of congestive heart failure on August 16, 2012 at the age of 88. 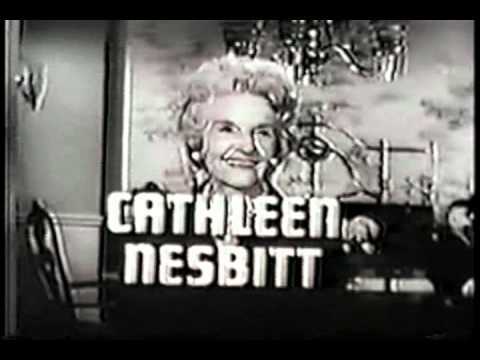 Veteran British actress Cathleen Nesbitt, who played Congressman Morley's mother, Agatha Morley, passed away on August 2, 1982. She was 93 years old. Thanks for all this interesting info! This show needs to be on DVD. Very sad what happened to Inger Stevens.